Suppose instead of falling for the “wedge-issue-of-the-month” trap, we reject messaging that serves only to divide us as neighbors, communities and citizens of a great nation. When faced with an invite to expend needless energy “discussing” the latest wedge issue, I’ll often ask my neighbor, friend, relative, stranger, “What is it exactly that we can do for each other to make our lives better around here? By focusing on what it is we have in common, instead of feeding on our differences, we create stronger bonds and better neighborhoods. If we all took this approach, we could make every community stronger. We all want to be treated with love and respect. Being a good neighbor is a great way to put it into practice. “Do unto others as you would have them do unto you.” All the major religions use a form of this credo as a basis of instruction. Furthermore, we are all exposed to the positive and negative aspects of the “golden rule” as part of growing up. It isn’t rocket science. So why do we find it so difficult to put it into practice? It is up to us to remind each other that we are better and stronger as a people when we reject the trap of discord and learn to be better neighbors and examples. I have to give credit to my volunteer position as a Block Watch Captain for these lessons learned. 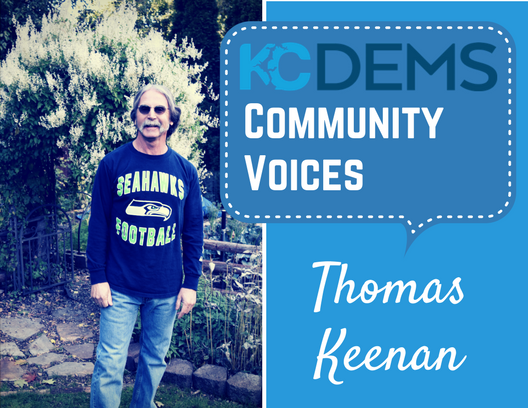 As a captain in my neighborhood, I have seen the importance of getting to know my neighbors. I have discovered that we need each other. Here are some suggestions on how you can be a better neighbor. Find out if your neighbors have kids and learn their names. Familiarize yourself with your neighbor’s work schedules. If they have pets, learn their breed and names so you can assist in their recovery if they get loose. Make a list of all your neighbors phone numbers and contact info. Make an effort to know who’s sick or in need of assistance and do what you can to help. Be aware of your neighbor’s comings and goings so that you are sensitive to unusual activity around their property so you can notify them if possible or call 911 if necessary. Taking a few easy steps to introduce neighbors at a block party or organizing your own block watch, can go a long way toward uniting neighbors. For one, it is a great way to encourage healing, compassion, and old-school neighborliness. It is up to us to turn the current conversation around as a nation and begin to see ourselves as the “United” States again. The work begins locally-one neighbor at a time. It begins when we stop judging, stop qualifying, stop stereotyping and stop dividing. You can be a part of the solution by being a good neighbor. But it doesn’t end there. We also need to hold our local, state and federal leaders to the same standards of decency. They were elected by us. We need to remind them to represent the many and not the few if we expect to regain an ethical grounding and grace again. So, call them often. More importantly, if you sense that their interests favor policies that work towards division and greed, stop voting for them. It is up to us to choose and support representatives who reflect and implement a vision that fosters unity and justice for all.